Widely thought of as a haven for smugglers and other miscreants, rumours swirl as thickly about Coldwater as the persistent sea fogs that sometimes blanket the place for days at a time. Set at the head of a muddy cliff top path, Coldwater is an isolated, dismal place. Its folk are sullen, ugly people and even the village’s ruler hates the place. For all that, Coldwater can be a place of opportunity and adventure. 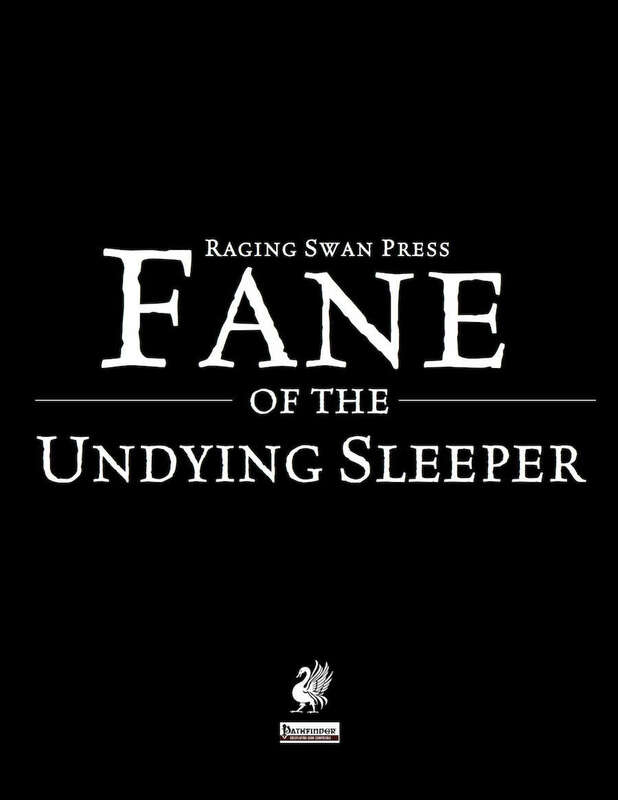 Protected by the roiling waters of the ocean, the Fane of the Undying Sleeper lies at the top of a set of stone steps only exposed at the lowest ebb of the lowest spring tides. Protected by impregnable stone doors, the fane has lain undisturbed for centuries. Once the lair of a heretical and degenerate demon-worshipping cult the benighted, profane place has never known the tread of human feet. None have yet penetrated the fane, but nevertheless wild and outlandish rumours speak of terrible dangers and glittering treasures to be found beyond the unopenable doors. With a tide low enough to reveal the fane’s entrance fast approaching, are the PCs brave enough to dare the terrors of the Fane of the Undying Sleeper? For a free sample head over to Raging Swan's website. Any plans on converting this adventure to 5E? I would like to release Shunned Valley and Shadowed Keep followed by Fane of the Undying. Hopefully, this will happen this year.